Having a party or a large family gathering? 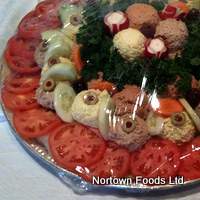 Nortown has great party platters for all occasions. Here are some ready to serve party platters we can prepare for you. Sandwich Platter Assorted sandwiches on premium breads and croissants.